I tend to limit the amount of electronic stuff I post on here for 2 reasons. One they are usually higher priced items and two, because I honestly don’t know if they are a good deal or not as I’m just not “up” on electronic stuff. But when I do post something, it’s because I have done a lot of research and feel it’s a super deal. 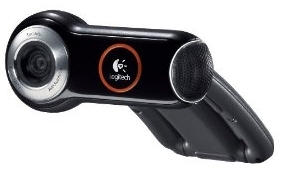 Like this Logitech Webcam. Amazon has the Logitech Webcam Pro 9000 on sale for $69.99 (org $99.99) and get free shipping with Amazon Prime. Then submit for this $20 rebate. Final price: Only $49.99. Yay! See, when you wait and search, you can find a great deal! !